A Warm Welcome to Kollari! It is our great privilege to welcome you to Kollari Institute of Music. We are thrilled that you have chosen to discover more about our school. The start of a musical journey with Kollari provides a unique opportunity to learn from teachers that are both educators and performers. We take pride in empowering our students with critical thinking skills, opportunities for cognitive and social development, and of course, the ability to play music. At Kollari, we witness the benefits that music education has on our students daily. It is this very progress that drives us to lead an educative community in which each student flourishes. No matter what your goals are — perhaps for your child to practice music as a fun and explorative activity, or perhaps to look ahead to university music programs — there is a place for you in our community to grow and achieve your full potential. 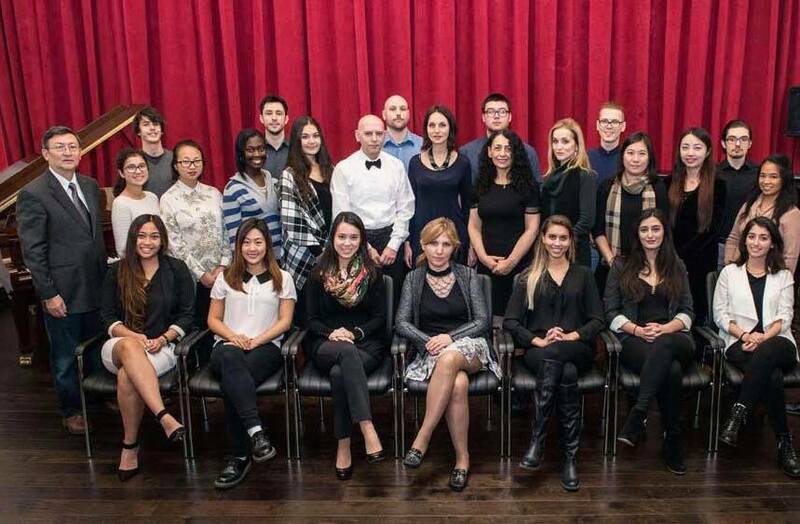 On behalf of our students, teachers, staff, alumni, and family, we hope you enjoy and benefit from your visit to Kollari. We consider it our duty to instill in our students a passion for music that will last a lifetime. We teach the language of music in a way that challenges students to express themselves, and to think critically. At Kollari, our curriculum is wholesome – students not only learn to play an instrument or to sing, they are also taught to embrace an intellectual challenge that leaves them with a sense of confidence and pride that they are then able to carry into other aspects of life. Simply put, we are committed to the bigger picture, and we embrace our responsibility to raise the next generation of musicians. We encourage you to visit the Institute in person. As educators, we know the importance of environment to the learning experience, and sought to create a space where students could feel confident and motivated in. Whether it’s our in-house Concert Hall or our Kollari sound engineered classrooms, our facilities empower students to further their musical education and gain life-long performing skills. Our motto at the Institute is ‘our school is your school’, and Kollari students are encouraged to take full advantage of the space by booking classrooms for private practice, or our Concert Hall for Family & Friends Recitals. 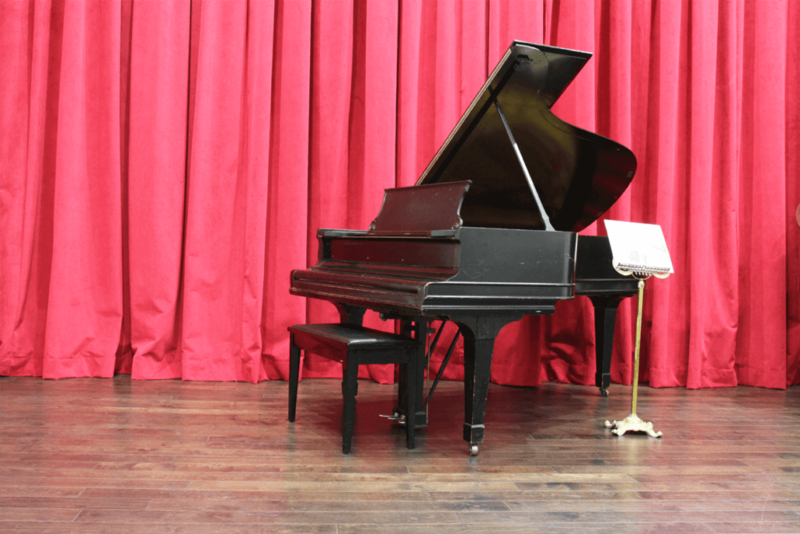 Pictured: Rare Steinway Piano, once belonging to famous composer Clifford Poole, now resides in our Concert Hall, and is enjoyed by all Kollari students. 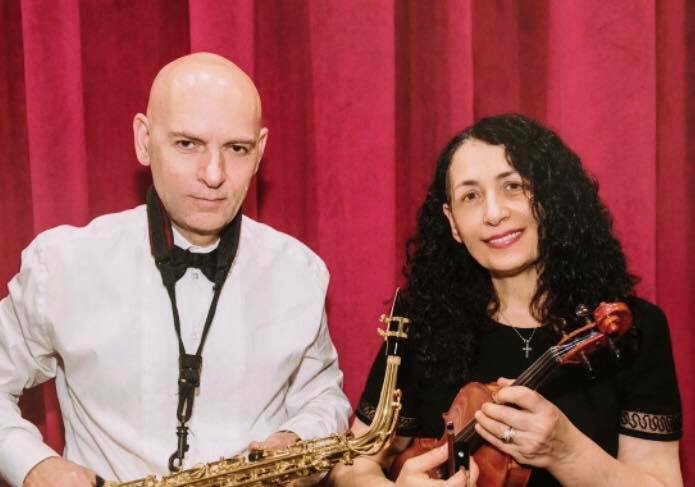 With over 70 years of combined experience, Dr. Yevi and Mimosa Kollari are multi-instrumentalists who have developed some of Toronto’s finest players and performers. Both musicians from the age of seven, Mimosa and Yevi Kollari (PhD) were blessed to each have had wonderful and passionate educators guide them in their studies. In their shared vision to pass that passion along to the next generation, the two had a dream to startup a musical institution run by musicians, supporting students with the finest of facilities and nurturing their musical, cognitive, and social development. Today, they live that dream, and can be found at the Institute, not only teaching students themselves, but also developing a superior educational community through their handpicked team of instructors.